Written by Travel Excellence The Costa Rica rafting team ended in the ninth place of the Rafting World championship held in Turrialba at the Pacuare river, one of the most beautiful places that you can visit with any costa rica travel agency. "We are very pleased with the outcome also we got the fourth place in the downriver river’ category, and it was a place we expected," said Captain Manuel Segura from the Costa Rica team. The ticos said that after the first day they realized the level of the tournament was going to be really high, especially, after the against the clock competition. "Day by day we went up in the ranks. The global level of the competition was very high, and I feel that our team exceeded the expectations". Turrialba is one of the most beautiful places you can find in Costa Rica, and rafting is one of the most fun things to do in costa rica. Some of the ticos in the team believed they could have done better in the down the river contest. "What happened is that one of our teammates woke up one morning a little sick (Andrea Fallas), she had a lot of headache and the effort she made was so great", Omara Fuks said. "We are proud of the work we did. There is always a thorn that could be better, but other championships will come", said Andrea Fallas. The Pacuare River flows approximately 108 km to the Caribbean. 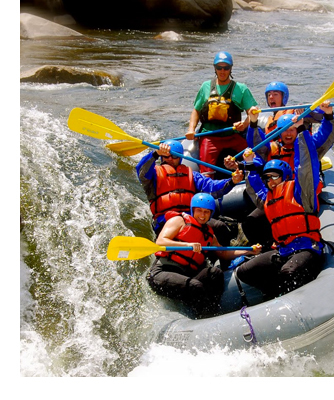 All costa rica travel experts bring the tourist, so, they can do some white water rafting, whitewater kayaking and riverboarding. Costa Rica hosted the Rafting World Championship for the first time, and they received over 35 countries during the tournament. The sightseeing in costa rica was beautiful according to all the participants, and they will be ready to comeback for another year.